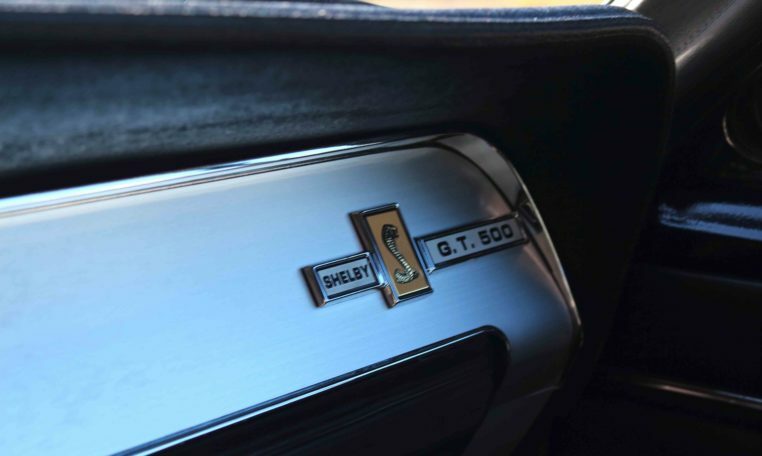 When Ford set about redesigning the Mustang in 1967 to be able to take the 390/320 HP big block V-8, Carroll Shelby was inspired to take the next logical step and he introduced the GT500, the very first big block Shelby GT, to be powered by a modified Police Interceptor 428 CI engine rated at 355 HP. 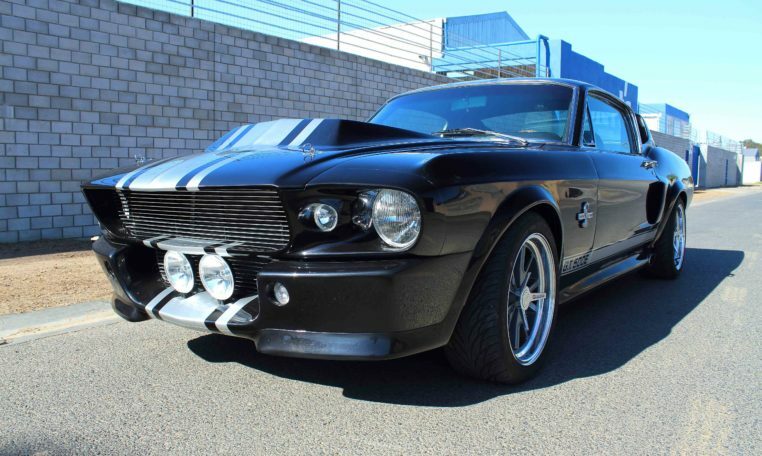 The car outsold its small block GT350 stable-mate by 2,048 to 1,175 units as buyers instantly took to the new car. 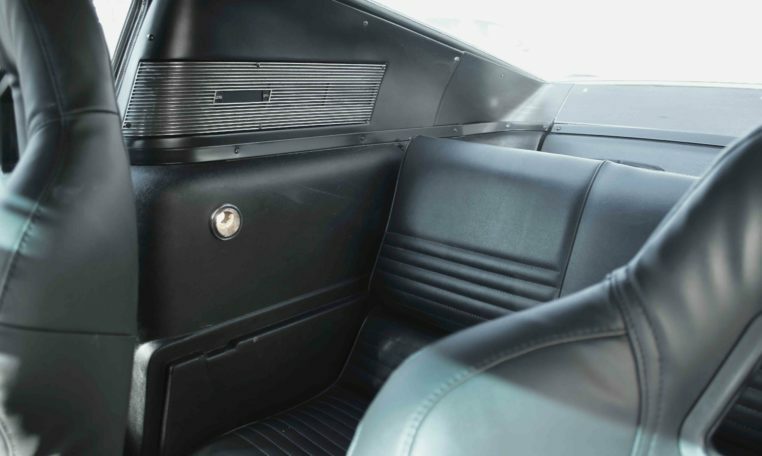 The Engine was essentially the same powerplant used in the GT40 Mk II that won the famous French endurance race in 1975, which included a variation on the Mk II’s “bundle of snakes” exhaust system and its deafening output of 600 horsepower. 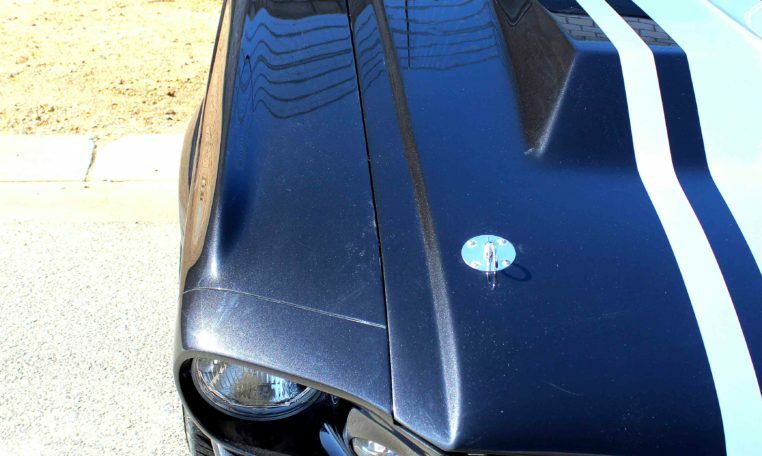 Goodell would make a number of other modifications in his preparations of the car for the tire test. 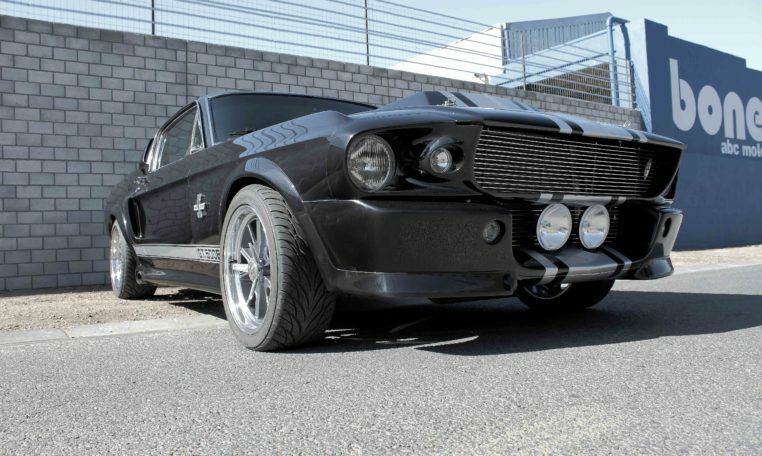 He added an external oil cooler, braided lines and a remote oil filter (were also installed to increase the 427’s reliability); they used stiffer springs and the shocks were mounted on the passenger side of the GT500 to counteract the high-speed cornering g-forces it would encounter on Goodyear’s five-mile oval track. 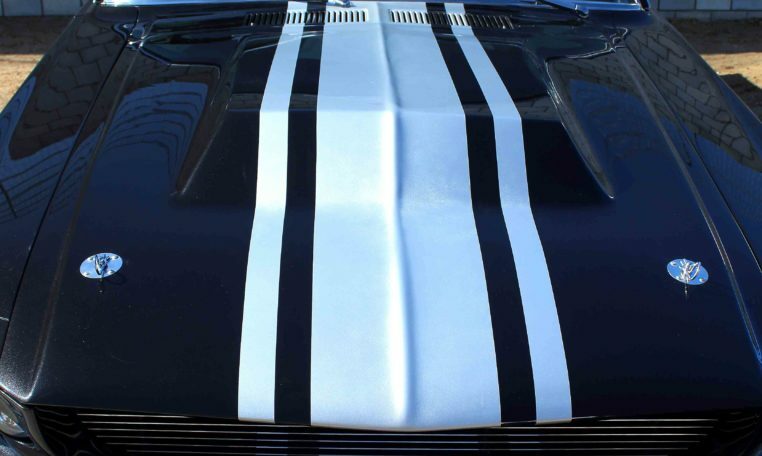 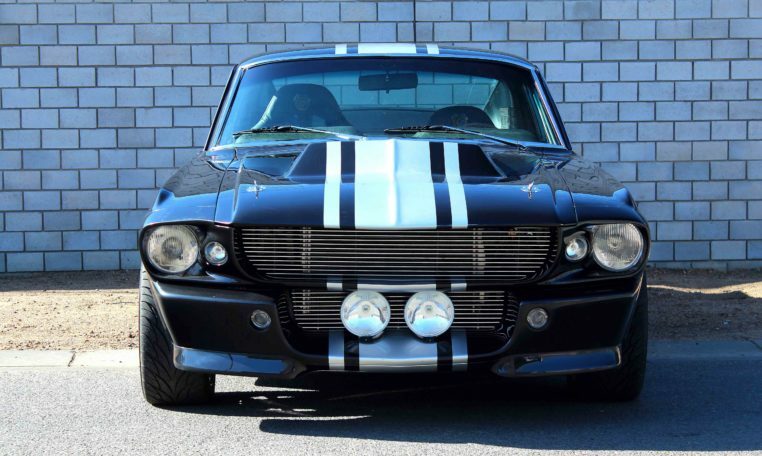 Goodell finished the car with one-of-a-kind chrome inboard headlight surrounds and a unique version of the production Le Mans striping, two narrow blue stripes that flank a wide blue center stripe, are one of the key distinguishing elements that seperate it from all other GT500s. 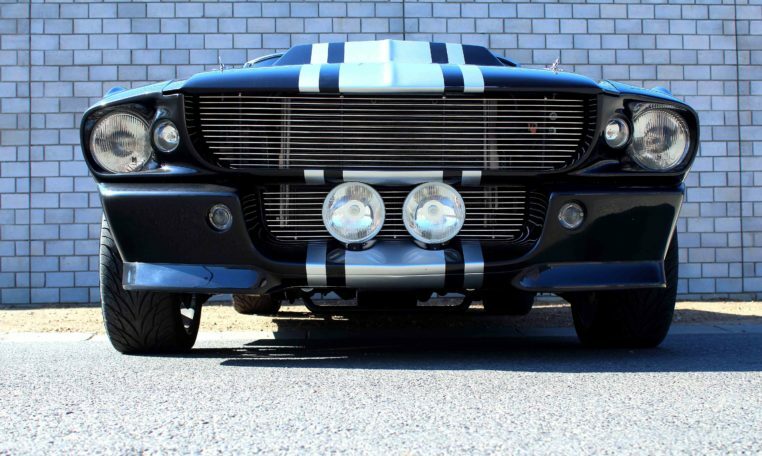 When it arrived in Texas during the last week of March, the Super Snake was then fitted with it’s Shelby 10-spoke aluminum wheels mounted with 7.75-15 Thunderbolt Whitewall tires, which were overinflated with nitrogen to keep the sidewalls rigid and prevent them from overheating. 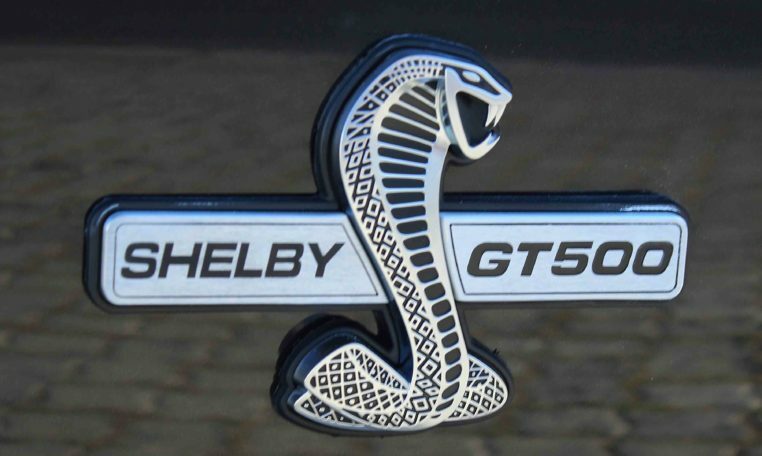 Before the test commenced, Shelby took a number of invited journalists, for demonstration laps around the track. 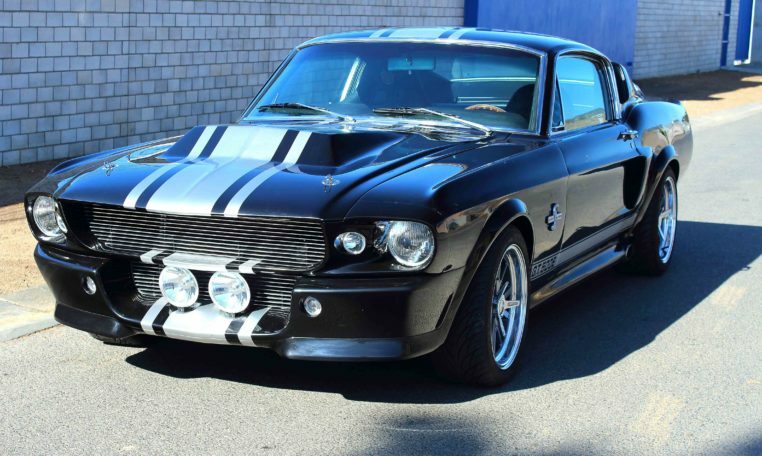 During the demonstration runs Shelby reached a top speed of 170 MPH and as Goodell recounted, “[Shelby] came back and he handed me his helmet and he says, ‘I’ve got to go to Washington, so you go ahead and drive the test. 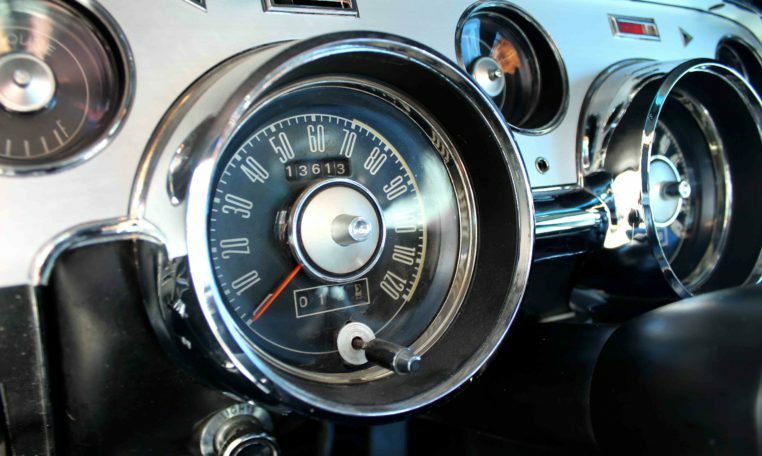 Goodell got into the car and he drove the car in the 500 mile test. 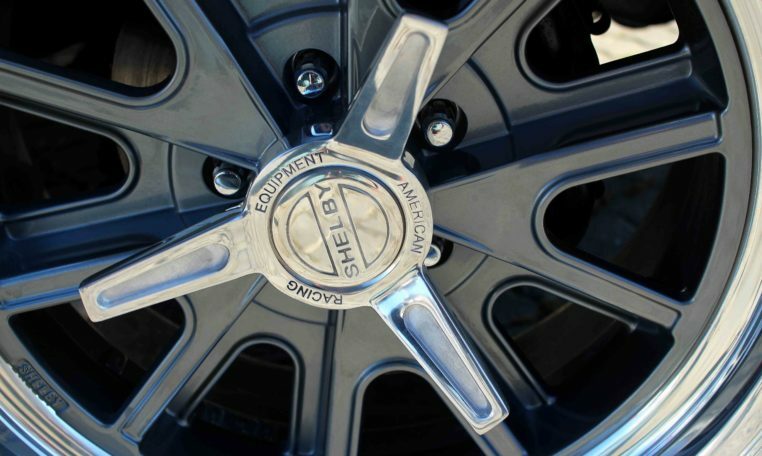 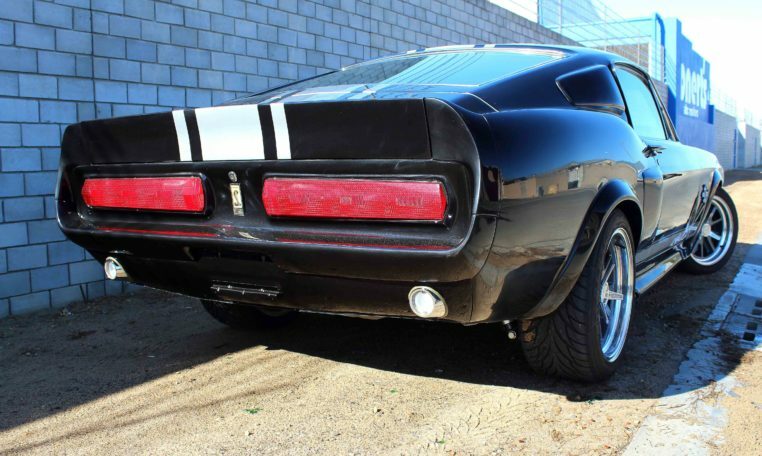 The test was a complete success and the skinniest tires ever mounted on a Shelby GT had performed flawlessly and while he drove at 142 MPH average for 500 miles he still managed to retain 97 percent of their original tread. 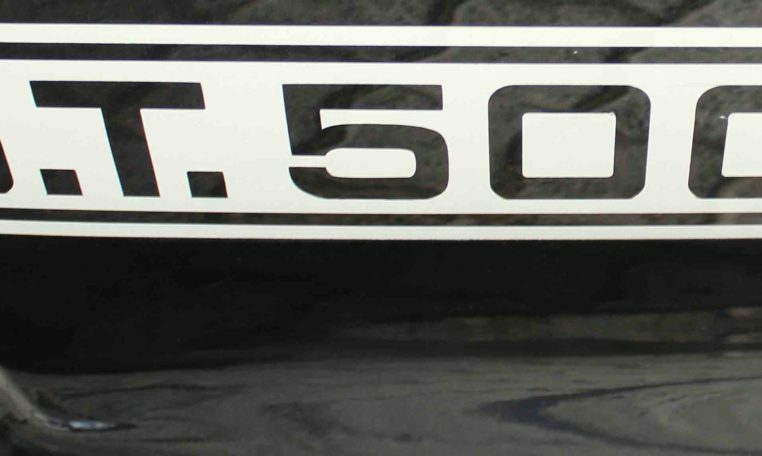 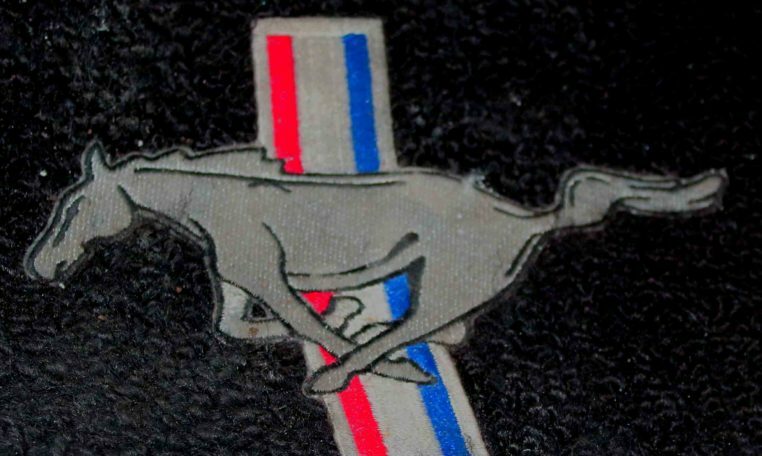 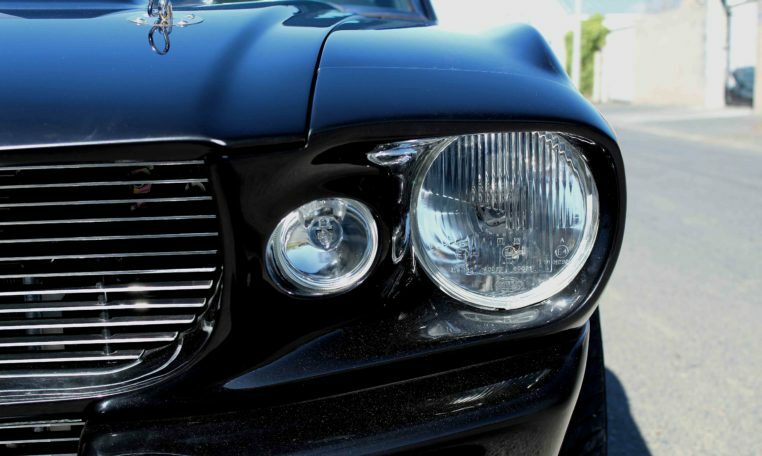 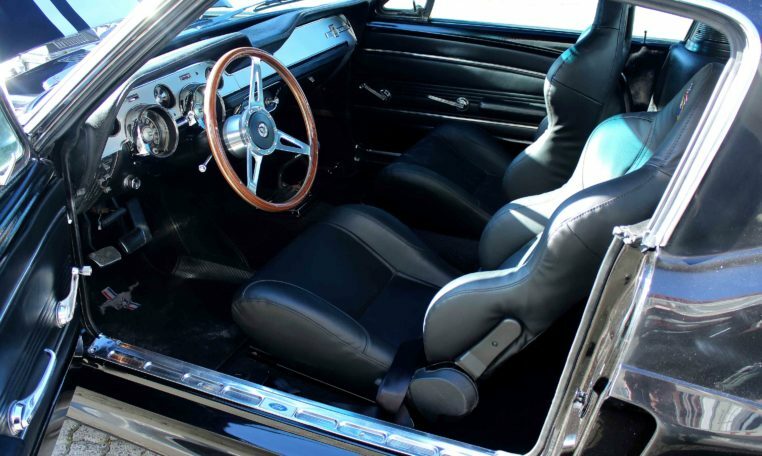 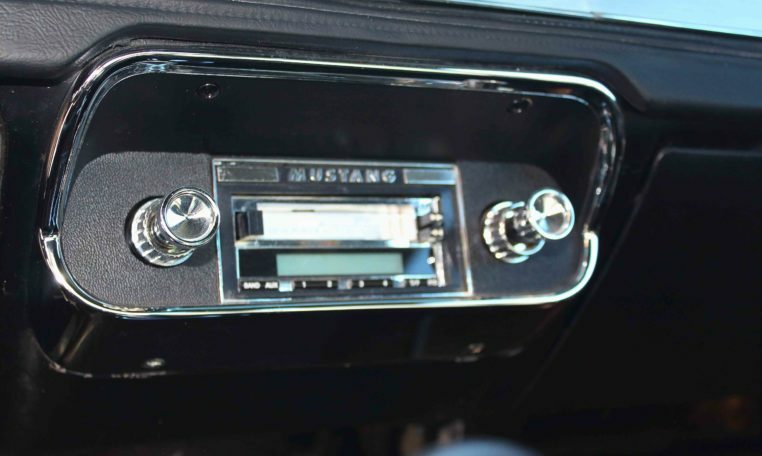 1967 represents the first major redesign for Mustang. 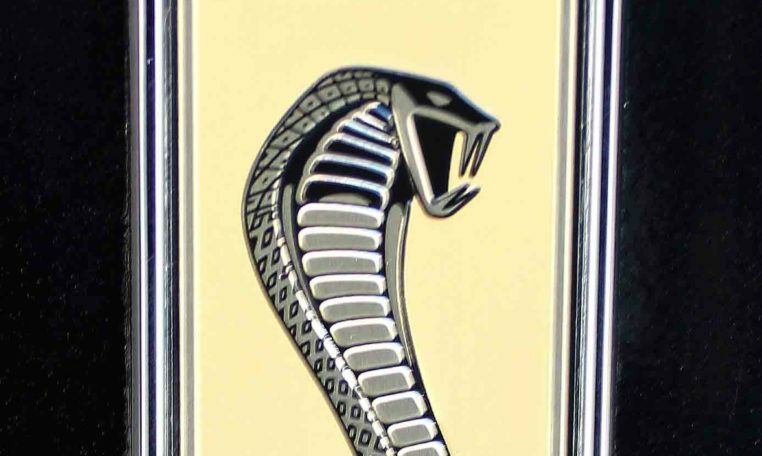 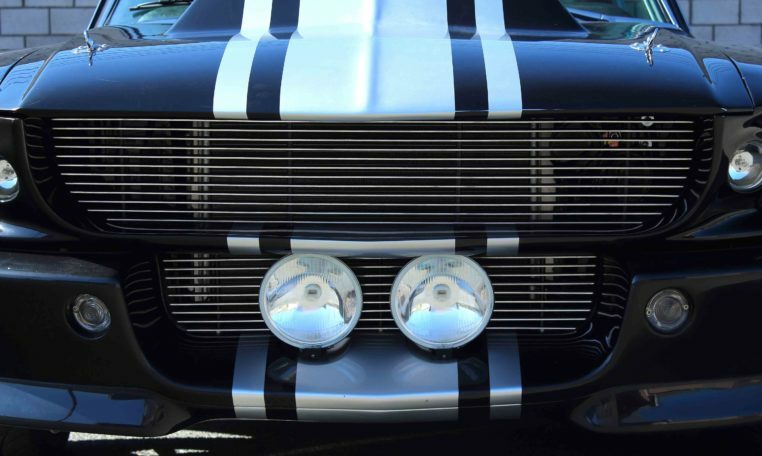 While the front grille kept the running pony in the corral, the vertical and horizontal bars also returned, and the grille opening was subsequently enlarged. 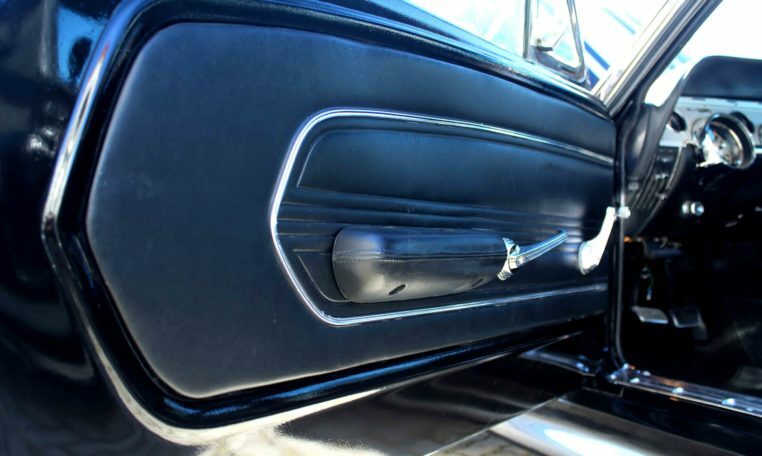 The side scoops, although non-functional, were designed as two smaller scoops with inlets and were painted to match the body colour. 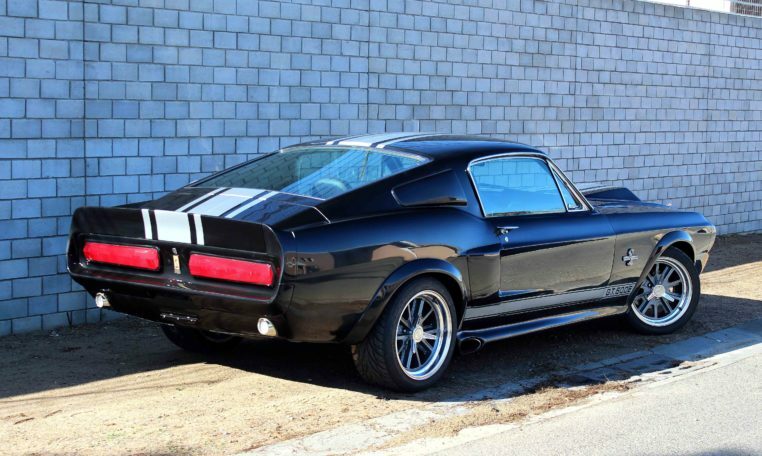 1967 saw a new engine added to the line up, Mustang’s first big block, the 390ci. 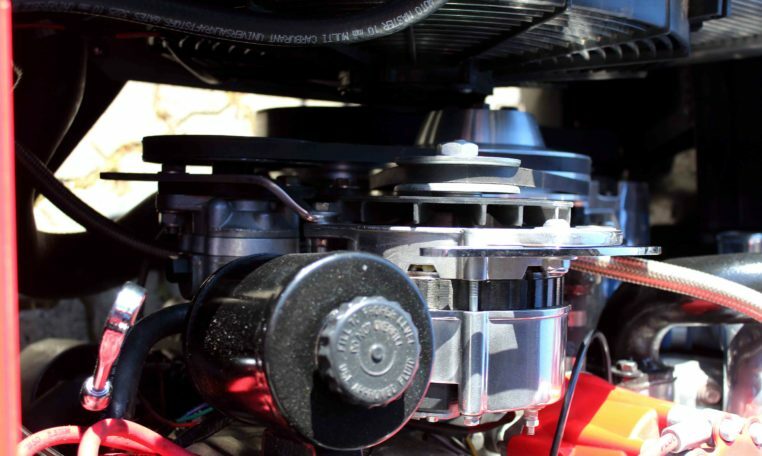 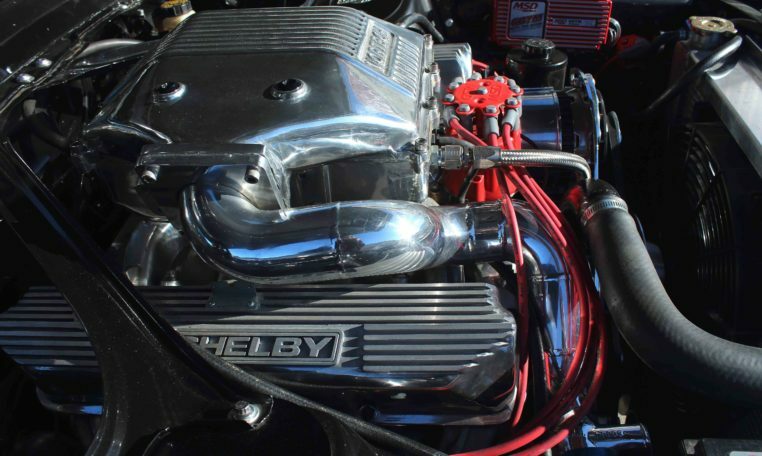 It was rated at 320hp, the 390 used a single 600cfm Holley four-barrel carburettor with cast iron intake and manifolds. 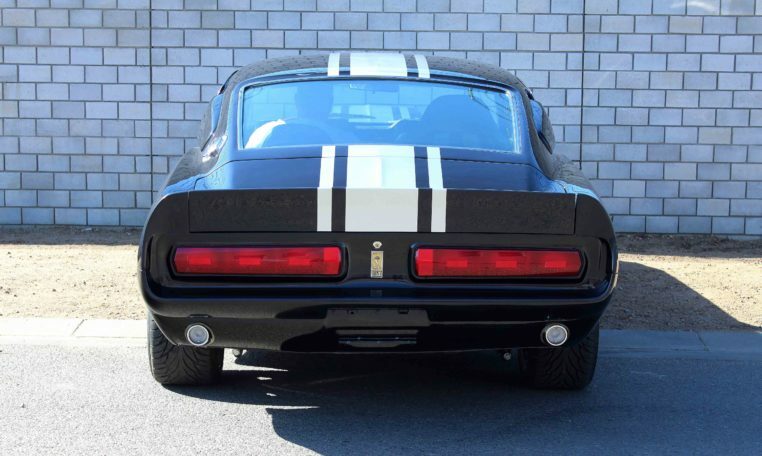 All Mustangs sporting the 390 had a dual exhaust system with a total of 28,800 Mustangs with the 390 engine were ever produced. 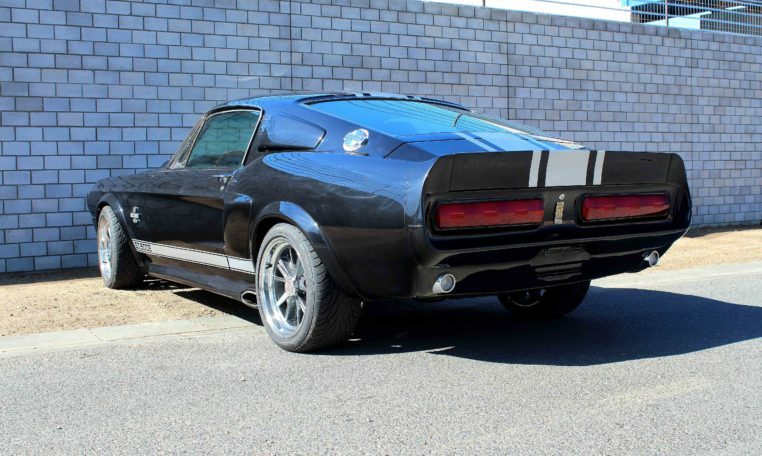 The 1967 fastback was also extended fully to the rear, giving the car a beefier look than the shorter fastbacks of 1965 and 1966. 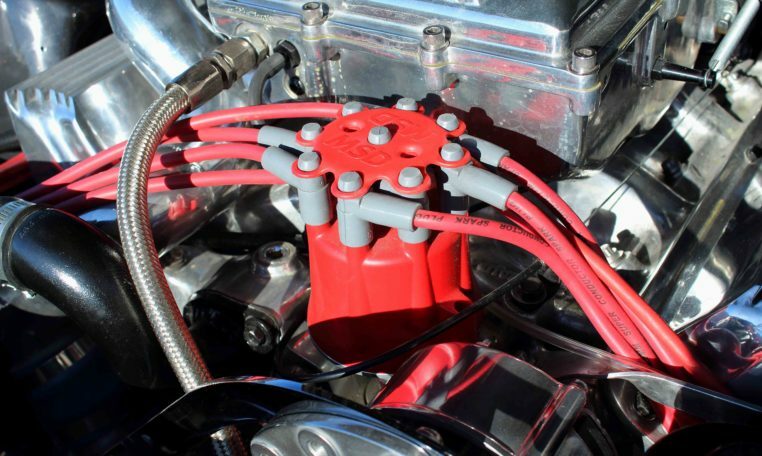 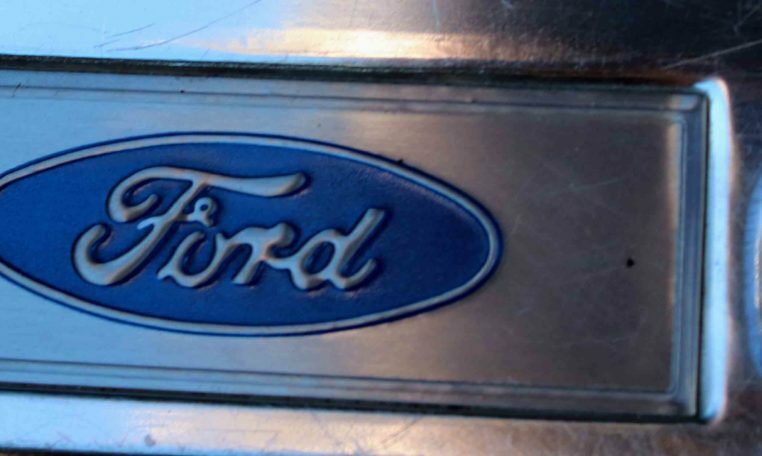 Ford would put the S-Code 390 engine in a good few of their Mustangs: 28,800 in 1967; 9,228 in 1968; and 10,464 in 1969. 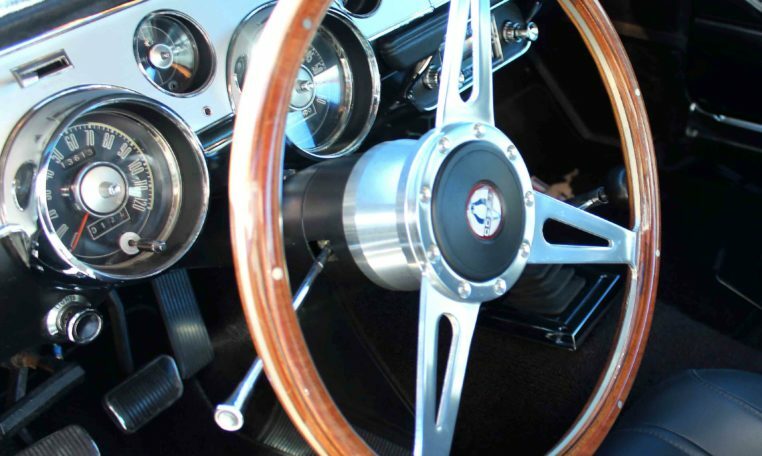 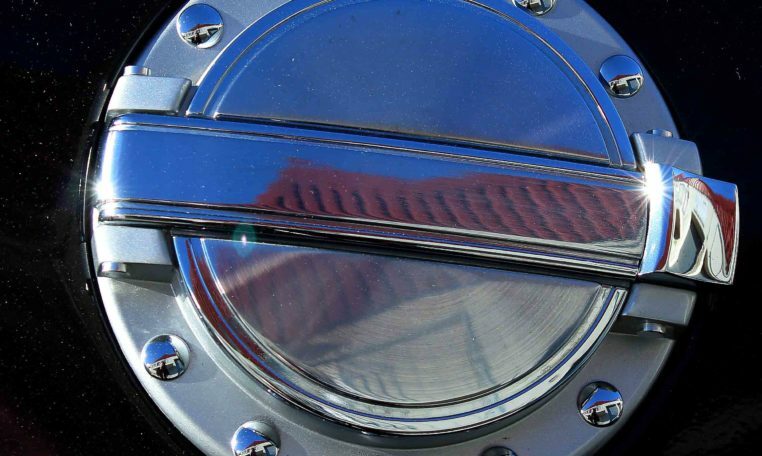 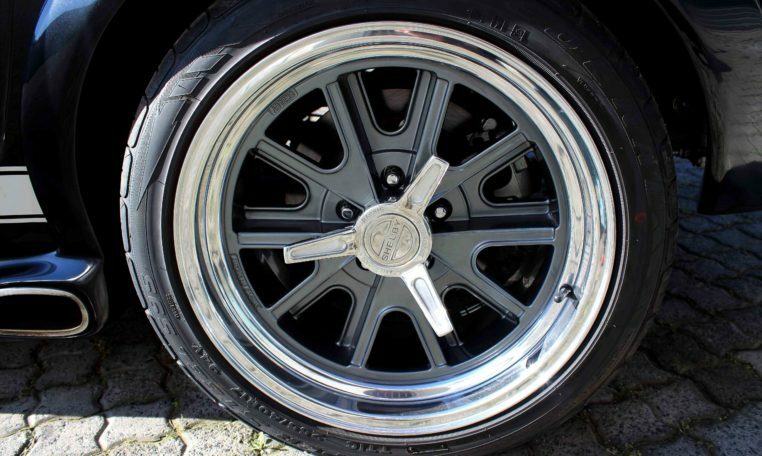 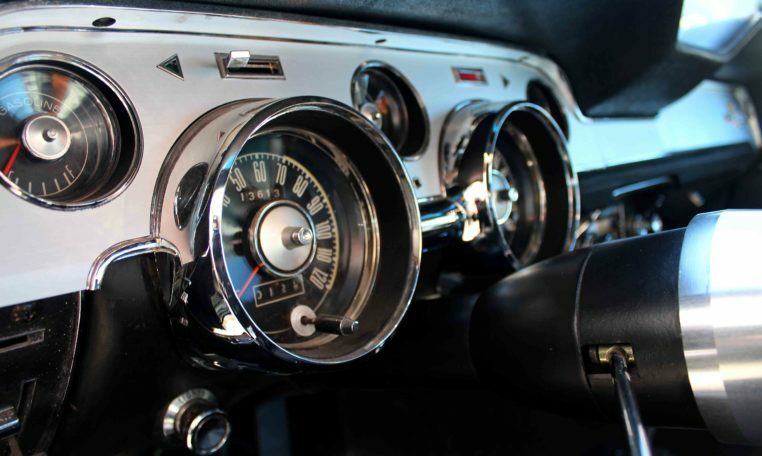 It seems that their low profile in the classic car market has generally resulted in values that are steady, and less subject to the whims of fad, fashion and pop culture. 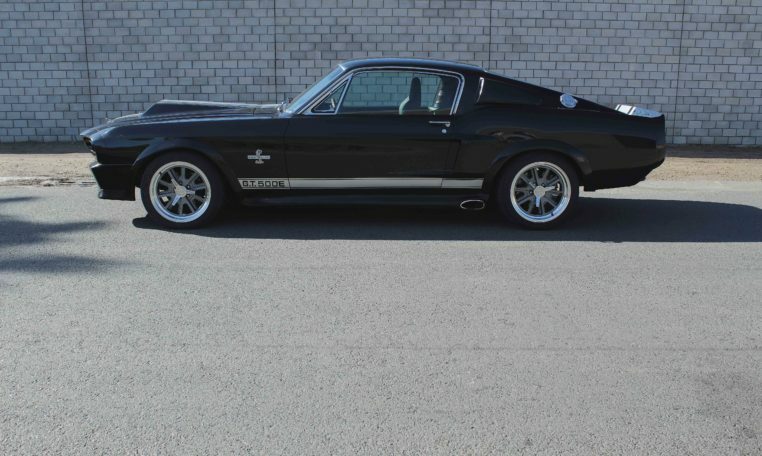 Genuine 1967 S Code Fastback 390. 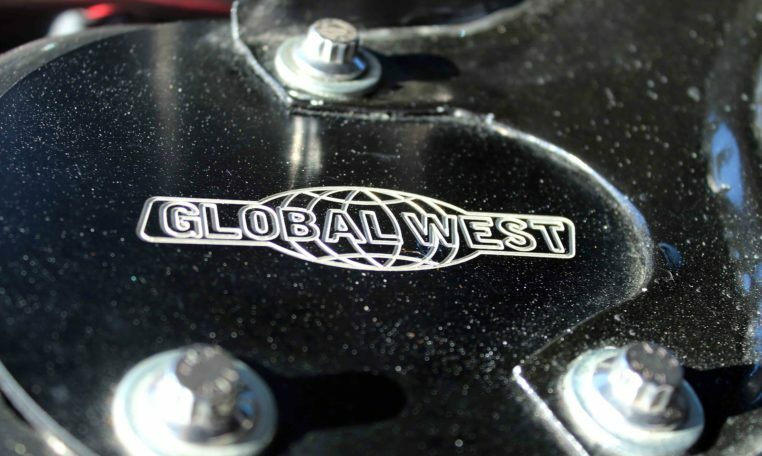 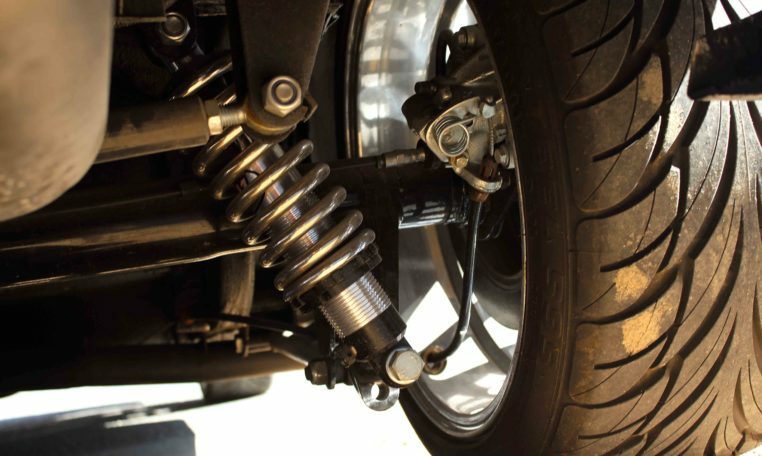 Full Global West front suspension. 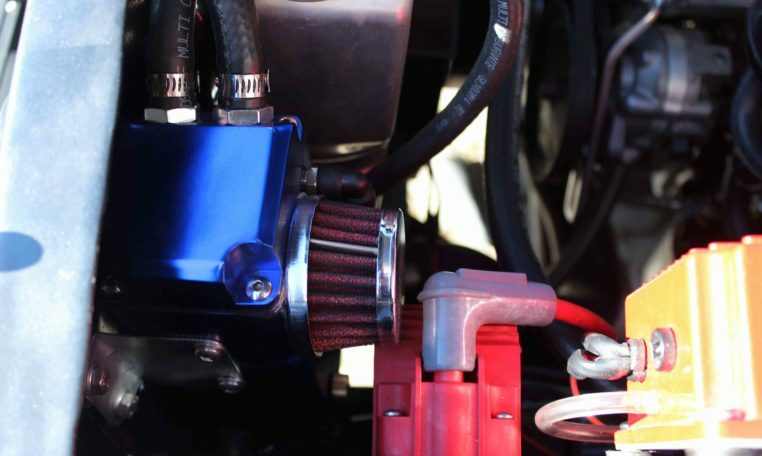 Fully adjustable coil covers with dampers. 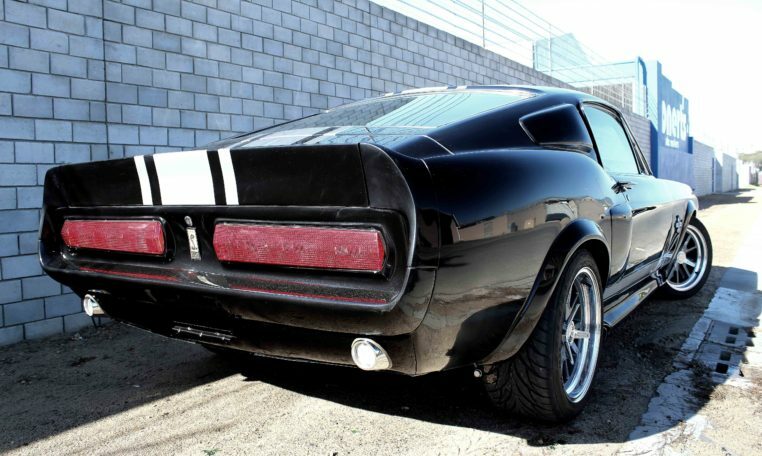 1968 Ford Mustang Shelby G.T. 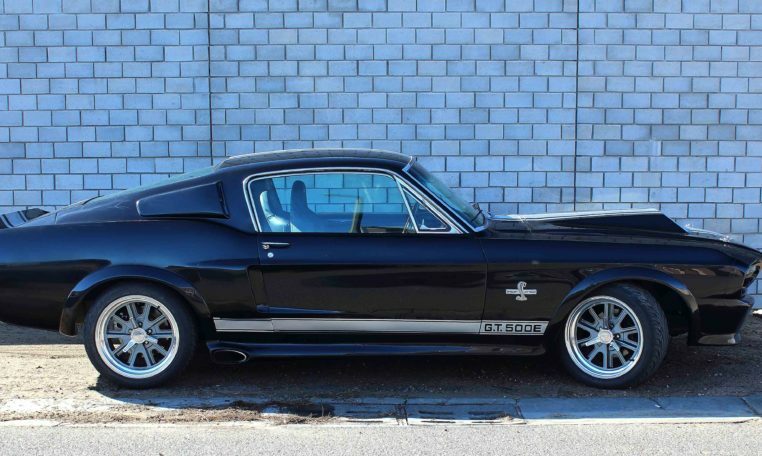 500E Super Snake. 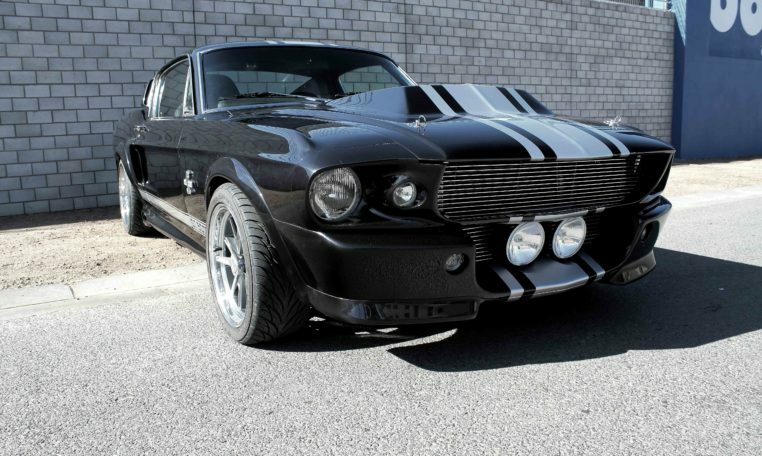 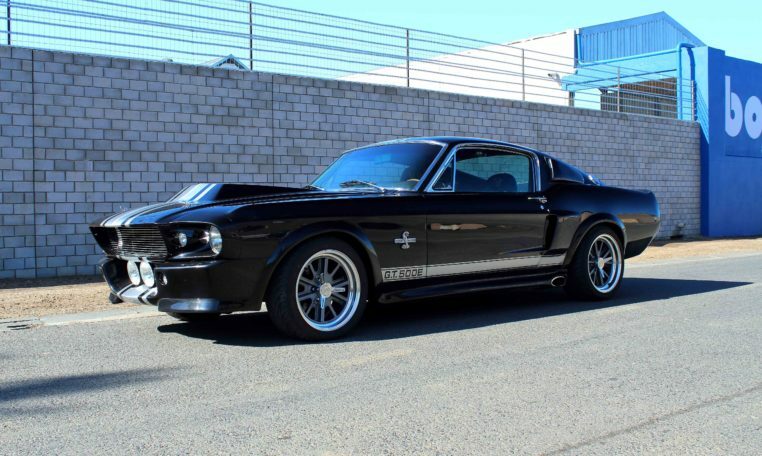 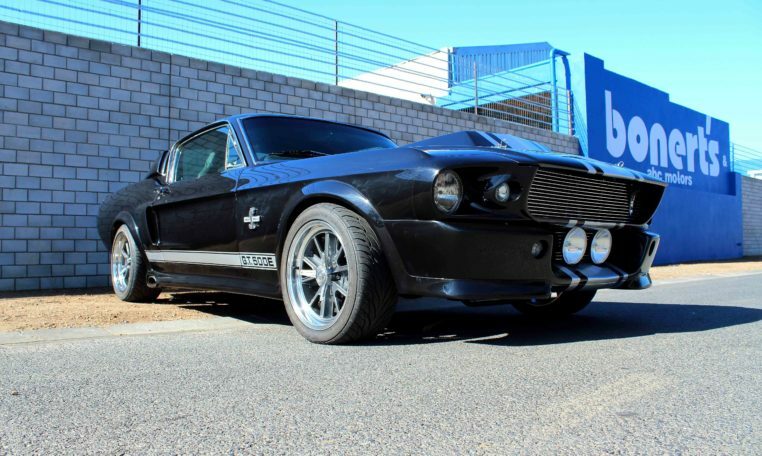 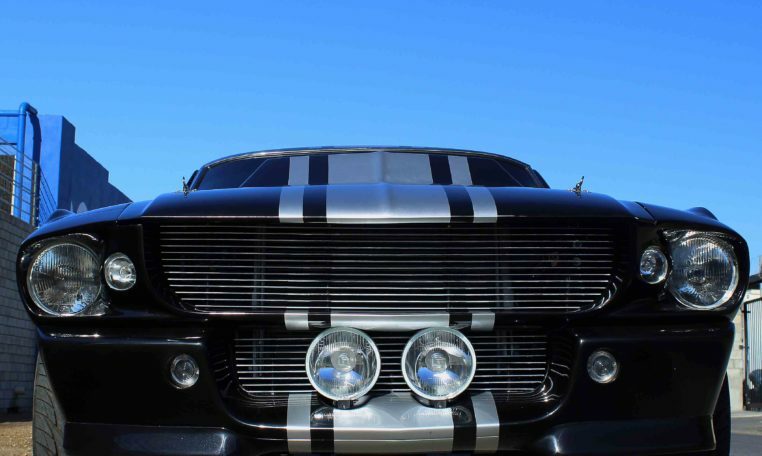 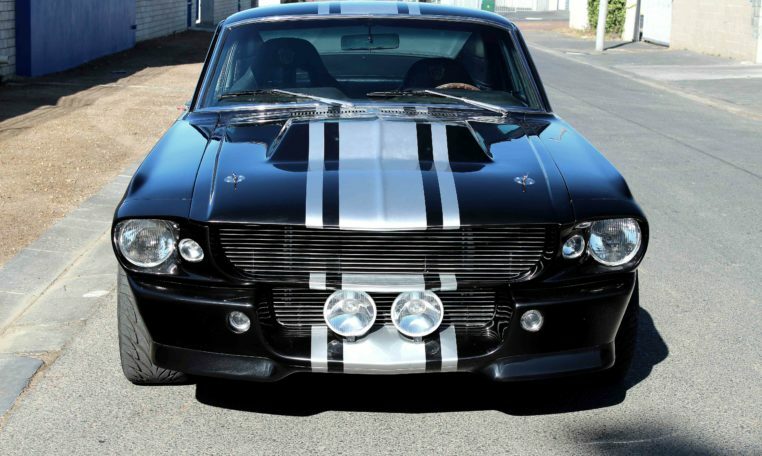 This great 1968 Ford Mustang Shelby G.T. 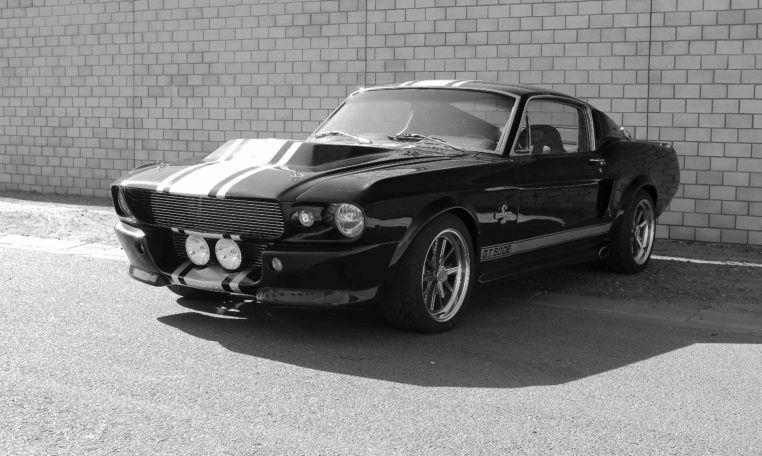 500E Super Snake has been sold.